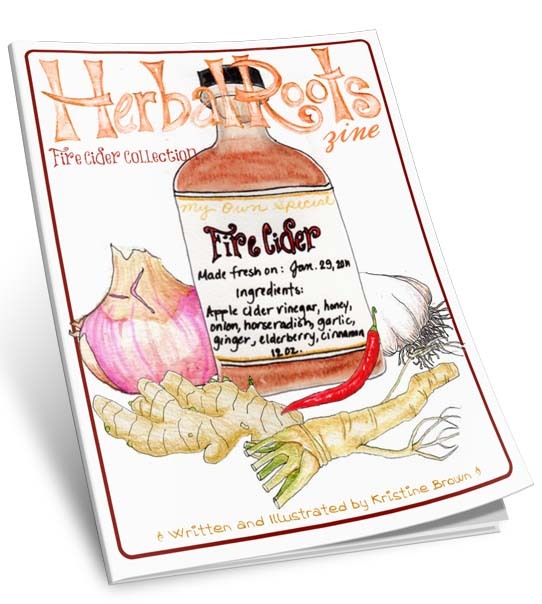 This is a PDF collection of past Herbal Roots zine issues that are in the popular fire cider recipe. This collection includes the history of fire cider, instructions on how to make fire cider, a label and card that can be printed off and the issues: Apple, Cayenne, Onion, Garlic, Ginger, and Horseradish. If you have all the past issues but would like a copy of the Fire Cider eBook (without the back issues), you can download it for free right here. Separately, these issues would cost $47.94 but this collection is available for only $29.99.